Plaque commemorating Treaty of Pari, 1783. 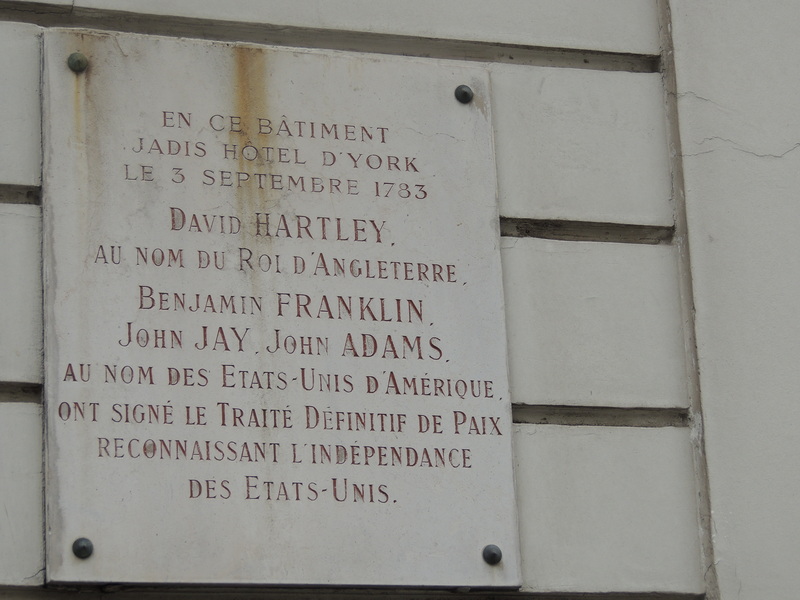 After morning café, my wife and I walked past this plaque and tried to imagine Franklin, Jay, and the Adamses in 18th century Paris.They were men of consequence who had dedicated themselves to guiding the development of their new country and securing its future. 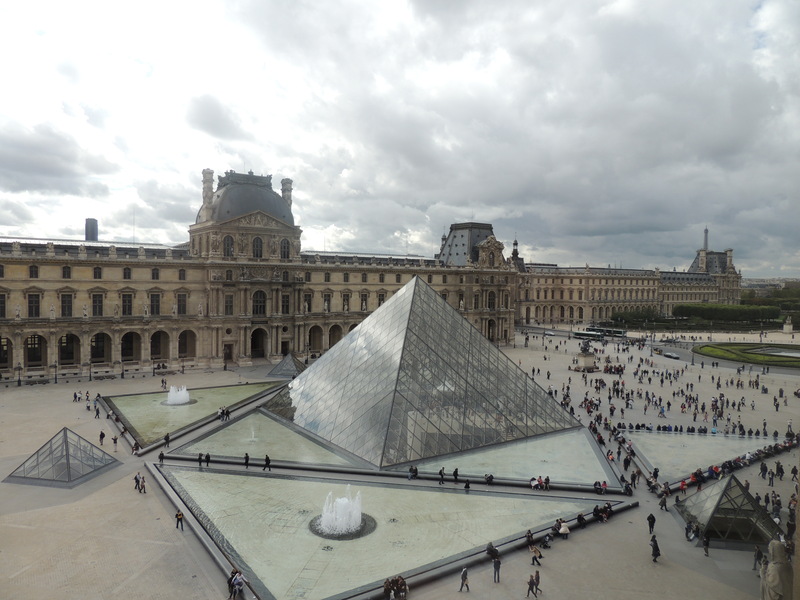 After our arrival in Paris it became clear why hotel rooms had been so difficult to come by – it was Fashion Week, think Devil Wears Prada. Occasionally tall babes in expensive clothing would appear in our hotel lobby. Otherwise our boutique Hotel du Danube seemed disinterested in fashion and was paparazzi free. Quiet and conveniently situated, du Danube made most places on our itinerary a relatively short walk. 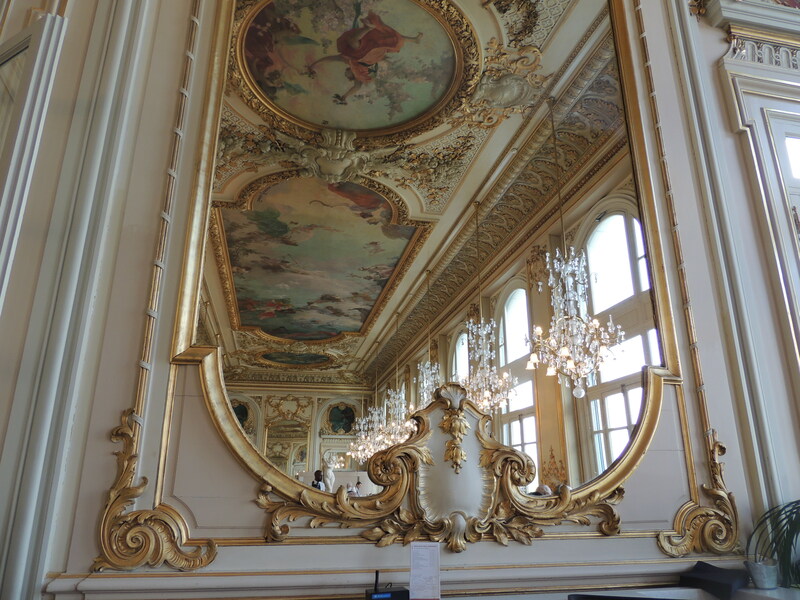 The Musée d’Orsay proved next day to be a masterpiece of planning for museum goers. 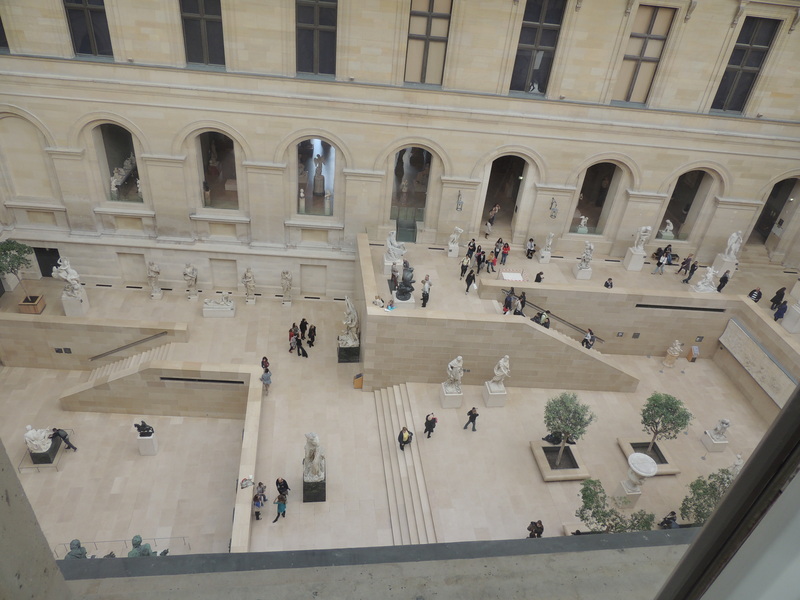 I was snapping pictures when a polite uniformed lady told me photography was not allowed anywhere in the museum. Well, okay. I didn’t need photographs of the Impressionists which were on the 5th floor, but I may have disobeyed her by taking photographs in the dining room where we had a passable lunch in an opulent setting. Then, a casual stroll past endlessly fascinating shops towards our hotel where once more, I lingered for a moment and try to visualize rue Jacob in 1783. I was a casual by-stander as a carriage made its way towards me, stopping in front of the Hotel d’York. Ben Franklin, John Adams and John Jay, followed by John Quincy Adams, alighted to sign the Treaty of Paris. I tried to imagine an 18th century equivalent to armoured stretch limos, black SUVs, Secret Servicemen with ear buds and shades and an international press corps. Nothing like that came to mind. Dr. Franklin had to momentarily step aside to allow an arm in arm couple to pass whilst a few steps away a large dog relieved itself on the sidewalk. [1.] See Unger, Harlow: John Quincy Adams, Da Capo Press, 2012. 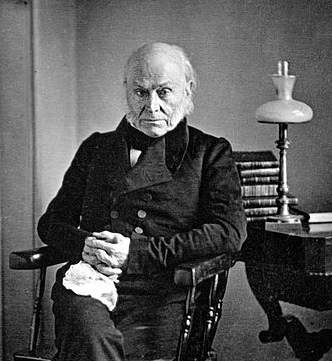 All the photographsith the exception of John Q. Adams, were taken by R.E. 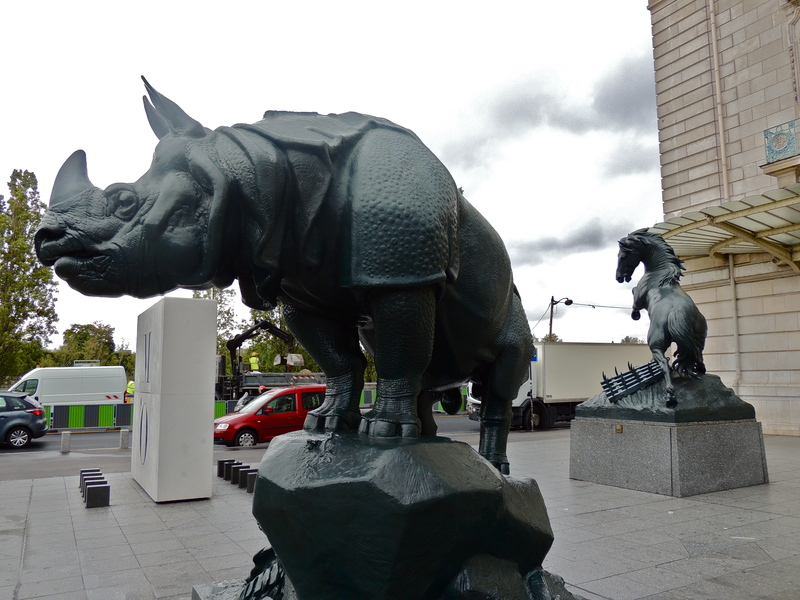 I am also posting a photo gallery of Parisian street scenes .